In 1965, following the successful launch of Disneyland, Walt Disney began plans for Disney World. Central to it was the Experimental Prototype City of Tomorrow (EPCOT). EPCOT opened its doors in 1982, but it was nothing like what its creator had envisioned. Disney had dreamed of a real, working city inhabited by Disney employees and their families, among others. He hoped major US companies would use the facilities to develop and try out their latest technologies within this community. He imagined EPCOT being an extremely organized, clean and crime-free city that would always be at the forefront of technology and would serve as a blueprint for other cities around the world. These days it is Disney World's creation of interactive wearable technology that is sparking interest. Disney has launched disposable technology bands that have caught the attention of many major companies. Naturally, we thought of how small the world is and how this technology may impact community banking, so before we wear out our welcome here, let's take a look at these so called "Magic Bands." The bands are disposable silicone gel bands, much like those made popular by the Livestrong Foundation. These bands are embedded with radio-frequency identification (RFID) chips that allow Disney parks to program them with everything from the wearer's name and contact information, to their credit card details and individual preferences. The bands contain the same type of radio found inside the average cordless phone, which can transmit more than 40 feet in each direction. As such, it essentially acts as an individual GPS locator for every person wearing a band. By combining these two technologies within bands that can be comfortably worn and forgotten about, Disney has created a seamless experience that gives visitors the same convenience of cash and credit cards, without the need to carry around wallets or cell phones. Even park admission tickets and hotel reservations are pre-loaded onto the bands, with users having to merely wave their wrists in front of sensors to gain admission. This technology is pretty neat, but how can community banks use it? Well, consider the branch parking lot hamburger and hot dog cookout for example. 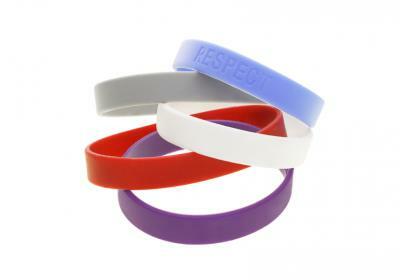 Customers and potential customers could all be logged into the event and given a band to carry about. That band would then give you information as to who they are talking to, how long they are spending in each station you might set up around the locale and where you see employee bands interacting with them. This could tell you who is the most likely target for you, which employees are doing the best job interacting at such events and whether all customers are touched. Just knowing this information will help richen your data on customers and potential customers. Think how you can use this to tighten up products in the future. Or, think about handing out bands from a basket at the point when people first enter the branch. It will help you capture anonymous information on waiting times perhaps, who most people interact with and how long teller A takes vs. teller B. People will probably feel quite comfortable doing this because they are not giving out any personal information, yet think of the enhancements you can make with that raw data. These are just a few ideas as to how bankers might be able to use such technology, but we want to hear from you too. If you have ideas, send them in by just replying to this email and we will try to work them anonymously into an upcoming edition of the Banc Investment Daily. Think of the bragging rights alone from this and send them in. Given the vast amount of things that can be done with Magic Bands and the likelihood that other industries will eventually figure out how to use such technology, the sky is the limit perhaps. Maybe it is time to get on that monorail and take a ride! Yields fell 2bp as volatility in global equities and declining oil prices helped support Treasury investments. Bloomberg reports a Bank of America Merrill Lynch index that tracks price swings across asset classes has reached its highest level in 4Ys. Investors are concerned about market volatility and the potential for company defaults globally. Meanwhile, back in the domestic banking world, the KBW Nasdaq Bank Index (of bank stocks) is down almost 19% this year. A Bank of America Merrill Lynch CFO survey finds 2016 growth strategies include: market penetration / selling more existing products or services to current customers (85%); market expansion / finding new customers and/or new markets for existing products or services (80%); introducing new products or services (57%); balance sheet optimization (26%); and mergers & acquisitions (23%). This mobile payments service launched in the US in Q4 of 2014. It uses technology that allows it to be accepted by Near Field Communication (NFC) terminals or for in-app purchases. It is now accepted at more than 2mm locations worldwide and accounts for 1% of all retail transactions in the US. This mobile payments service launched in the US in Q3 of 2015. It uses technology that allows it to be accepted anywhere Near Field Communication (NFC), magnetic stripe (using Magnetic Secure Transmission or MST) or EMV payments can be used. It has the broadest reach and is accepted at 30mm locations worldwide. It can be used at almost all stores that accept credit or debit cards in the US. This mobile payments service launched in the US in Q3 of 2015. It uses technology that allows it to be accepted anywhere Near Field Communication (NFC) can be used. It is now accepted at more than 1mm stores across the US. The FDIC says it expects banks to make cybersecurity awareness training available not only to bank personnel, but also contractors, customers, merchants, and other third parties (since they all represent additional access points to a bank's data systems).